Shark Week – Science or Sensation? Dive Boat Etiquette - are you part of the problem? In the beginning, there was something called film….. I first began shooting photos underwater with a bright yellow 35mm Sea & Sea Motormarine camera. 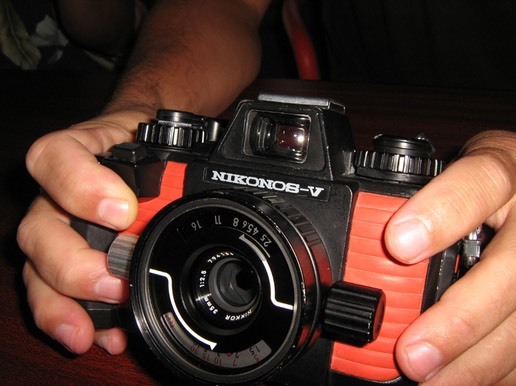 I soon moved up to what was then a "state of the art" Nikonos V and shot color slide film for many years before moving on to digital imaging along with the rest of the world. Today, when you look into the camera bucket on the dive boat, it seems like almost everyone has an underwater camera. So if you haven’t encountered photographers or videographers while diving, then you have probably just finished your Open Water training dives. Whether your preference is video or still photography, with today’s easy to use digital technology, it seems like virtually everyone is carrying some type of photo gear on their dives. After all, it can be a great way to enhance your enjoyment of diving, but don’t expect this to be a ‘how to' article about composition or underwater lighting. This is really about how to be aware and behave in a more responsible and considerate way as a diver…..whether you have a camera in your hand or not! Sometimes I ask myself; what is it about shore diving that I find so enjoyable and appealing? It is the feeling of freedom and independence, or do I just hate waking up early to catch the morning dive boat? Let me start by making it clear that I absolutely love diving from a boat! Whether I’m on a day boat or a liveaboard, it’s definitely the best way to experience a wide variety of great dive sites, and it certainly allows for some of the easiest entries into the water. In fact, I would daresay that boat diving is by far the norm and probably the way that the majority of us spend our dive time on vacation. With that being said, then why even bother with shore diving? Besides, it’s a lesser form of diving and only something to do when you don’t have access to a boat….RIGHT? I have actually heard sentiments like that around the docks and the dive shop water cooler, but anyone who really feels that way is missing out on some great dives and a lot of fun! I have always been intrigued by all manner of sea life, and I am particularly fascinated by the most famous apex predator in the ocean – the shark! The perfect eating machine…..
I’m not totally sure how that fascination came about, but I confess that I have been a “Shark Week” junky since it first aired in July of 1987. 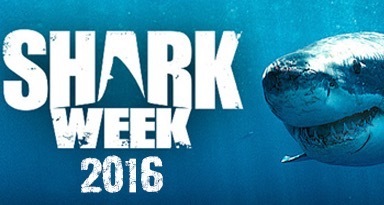 There, I said it; I’m hooked on Shark Week….judge me if you must, but I simply love sharks and want to learn everything I can about them! They are such fascinating and amazing creatures, and anything related to sharks draws me in like a “moth to a flame". So when Shark Week first began, it became like an ocean holy week for me. I was glued to the TV and faithfully recorded all the episodes on my VCR for many repeated viewings later. After all, where else could the everyday person go to get totally immersed in shark lore? Continue reading Shark Week – Science or Sensation? When the British Virgin Islands come up in conversation, most people immediately think about sailing. After all, the BVI has enjoyed a stellar reputation as a premier sailing destination for many years and is considered by most sailors to be the charter boat capital of the world. And as a long time sailor myself, I would totally agree! 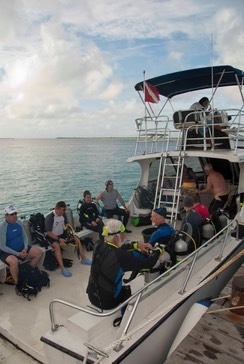 However, having just returned from 15 glorious days in the BVI, when it comes to Scuba Diving destinations, although the British Virgin Islands may not quite have the same long standing reputation that sailors have come to appreciate, over the years, the BVI have really come into their own as an outstanding destination for great Caribbean diving. Whether you enjoy diving reefs or wrecks, the BVI offers an incredible array of diving diversity. 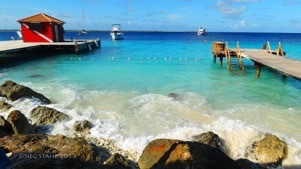 When they describe the BVI as “nature’s little secret’ it is definitely true - especially below the surface! Even if it wasn’t well covered in your Open Water course or if you haven’t taken part in a Boat Diver specialty class, you would think that at some level a bit of common sense would prevail, but no, some divers seem to be totally oblivious to the fact that there are other divers on board that need to share the same limited amount of space in a safe and courteous manor. In many cases, their behavior would even make their mothers eyes roll! Continue reading Dive Boat Etiquette - are you part of the problem? As kids, it seemed as though we were always on the receiving end of an endless stream of advice from parents, teachers, and almost anyone else in authority. And as kids, most of us had an incredible talent for pretty much tuning out and ignoring all that well-intended advice……right up until there was blood or pain involved! So has anything really changed? As divers, we constantly hear things during dive briefings like; “you need to have good buoyancy to stay off the bottom, there are things underwater that can hurt you and sting you, and don’t touch anything”. But of course, that advice is always intended for those other divers – right? And besides, it’s just part of the normal dive briefing and we often file it away as just so much blah, blah, blah – just like when we were kids! “What is diving and living on a liveaboard really like?" Even after many years of organizing and leading dive expeditions and adventure travel, this question continues to be a common theme among divers that are looking for new and exciting underwater adventures. Since we have a number of great liveaboard adventures coming up in our 2017 schedule, this is probably an appropriate time to have a nuts and bolts conversation about liveaboards. You are probably one of the many divers that enjoy diving and traveling to great destinations but all your experiences have been at a land based dive resort/operation? You may have considered a liveaboard but are a little reluctant because you’re not quite sure what to really expect? Then read on, because this is written with you in mind. I guess there is a first time for everything, and this week the inevitable happened when the technology Gods frowned upon us. 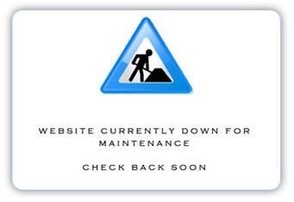 For the first time ever, the Sea Dog Divers website crashed and refused to update. We tried all manner of electronic incantations & techno CPR to revive it, but it was ultimately pronounced DOA! The timing couldn’t have been worse since we just added some great new adventures for 2017. Perhaps it was just meant to be and time for a new look & feel and features….there is always a bright side! So after a couple of sleepless nights and long days, just like the "Phoenix rising from the ashes”, our new website is born and we hope you like it as much as we do!